Forum Guitar Poll #1 - the secret sauce. Discussion in 'Electric Instruments' started by rugerpc, Jun 20, 2018. Is the Secret Sauce enough for you to identify a valid "Forum Guitar"
Poll closed Jul 4, 2018. Yes. I can live with that. No, It doesn't work for me. But he wants to do everything he can to give back to the forum and his customers. That's the whole MODCAT. WL and 4 digits. Each WL order number and the 10 serial numbers are tied together. To get the specs for the guitar, you would have to email PRS customer service with the WL number or the guitar serial number. The normal MODCAT decoder couldn't handle it. What is unclear is whether customer service would be able or willing to identify a particular guitar as a "Forum Guitar" from it's WL number or serial number. All of the specs DO appear on the dealer's order sheet. As further documentation, the dealer is willing to let us have copies of the data on the order sheet either by copying the sheet directly (obscuring the wholesale cost) or by printing up a version of the order sheet on another format (his choice). PRS is willing to write on the inside of the electronics cover and designate the guitars as Forum Guitars similar to the way they did with the Mark Tremonti Tribal run. The dealer is willing to augment the writing with the WL order number on the covers as well If PRS doesn't write it there. So, that would be the secret sauce. Copy of the build sheet for the 10 guitar run your guitar belongs to. PRS writing on the inside of the electronics cover. It's not an inlay or something else integral to the guitar, save the serial number. But it's the most PRS will do at this point without going Private Stock. Is it just 10 guitars? No. It would be however many guitars the members buy in strict groups of 10. Would EVERY FG have the same WL number? No. Each WL build of 10 guitars gets a unique number. But each run would have the same secret sauce appointments. What are the spec for the guitar? We aren't anywhere close to that. If we can't get at least 10 people to agree that the secret sauce is enough for them to make it a valid "Forum Guitar", there is no point in even discussing specs. To that end, posts in this thread addressing or suggesting specs will be deleted. We’ll get to that, really. Let’s just try to focus and take it a step at a time. 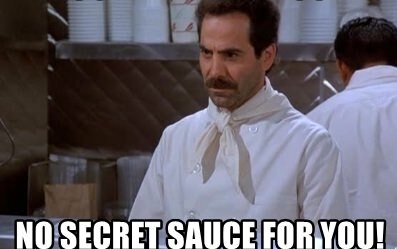 Also, there will be no changes to the secret sauce. THAT is what PRS and the dealer worked out. Vote. You have 2 weeks to chime in. If you have absolutely no intention of buying a Forum Guitar no matter what it's specs, please do us the courtesy of not voting. Atomic and matt3310 like this. Regarding the WL number on the outside of the control cover...is it something we could etch/engrave, (even if you or I did it with a lab handpiece)? Or is it sharpie only? Truth is , I'm not sure what my answer is. The part that appealed to me was a unique, visually identifiable guitar. Without that the specs of the guitar become much more of a deciding factor. Thanks to you, the dealer and PRS for the efforts no matter how it works out, I appreciate it. The secret sauce is fine by me. The specs may or may not seal the deal. To be honest, I think at this stage I'd rather hunt down a WL run by a dealer, or spec out my own recipe as best I can through an AP configuration. It was having some sort of "lookie here!" symbol on the body of the guitar, in lieu of a truly unique config (which I understand gets us into PS land) that piqued my interest. So I will not vote. However, should this thing get traction and the final spec is something I would lust after, I may jump on the bandwagon then. g.wizz, Atomic and JustRob like this. I never felt the need for a visible, forever unique identifier. A small run of shared specs is fine with me, assuming they are specs I find appealing. Boogie, g.wizz, WA Paul and 4 others like this. The special sauce is fine. The specs will decide if I'm in or not. While I think a visible identifier would be the best, I understand why it can't be done. I'm with Peter. If the specs work for me, I'd be in. JustRob and Atomic like this. Ok maybe I’m dense but what is this forum guitar business? A crazy idea that pops up once in a while for forum members to agree on a special run that a bunch of them buy. Oh, PRS has to agree to it too. HANDPIECE. Now you're talking. That or an ND:YAG laser. DreamTheaterRules, g.wizz, bodia and 1 other person like this. It has never been especially expensive. Then again, it has never made it to the construction phase. But yes, there has been voting, contributing, compromising (or not) to try to get to something that a subset of the forum would put money on the table for. It’s kind of a social experiment. Boogie, g.wizz, bodia and 2 others like this. Or social disease, depending on your perspective. Glide-bpm, DreamTheaterRules, g.wizz and 3 others like this. It comes down to specs for me too. I personally think that that would dilute the notion of them all being “Forum Guitars”, but yes, every batch of 10 could have it’s own specs (and it’s own price point) if they were different. I think it’s way too early to talk about specs or specific models, but I’m pretty sure we won’t be able to get anything that was a special Experience build. But when we do get to talking about models, I will ask. ooglybong and JustRob like this.